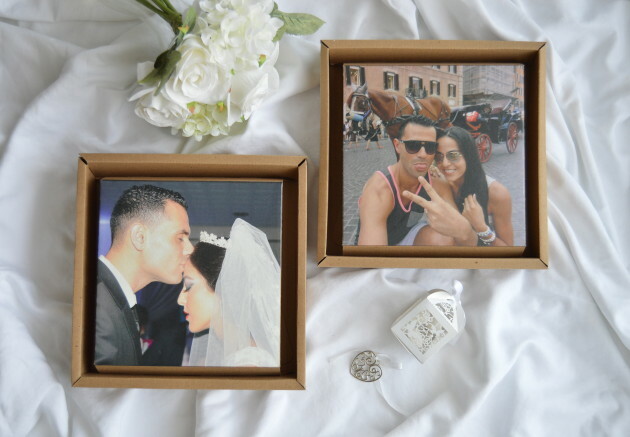 Looking for original and personalized gift ideas or just on the search for unique ways to print and frame your pictures? This article is for you! 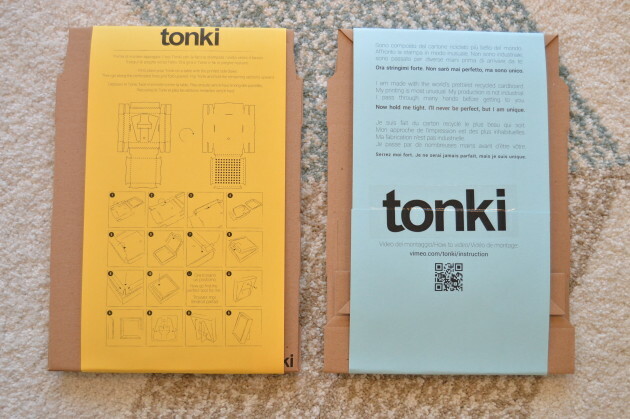 Tonki is a young team of montrealers that offers to print pictures (from your laptop, facebook page, Tumblr or instagram) on a frame made from one piece of cardboard made out of 100% recycled material easy to assemble (called Tonki). This is an Italian creation that can finally be enjoyed in North America. I invite you to visit their website, it is super user friendly and I was personally impressed! It only took me 5 minutes to place my order and two days to receive the product! 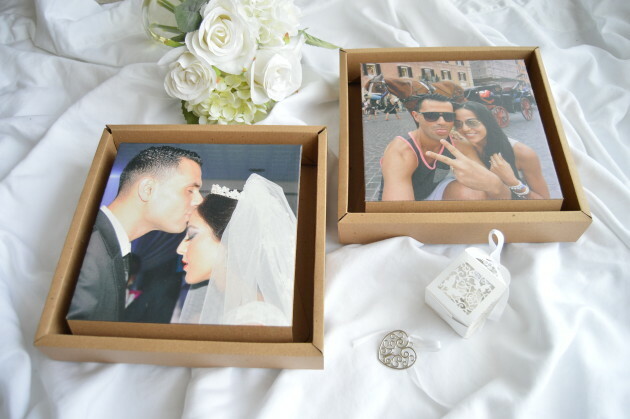 I, of course, chose pictures of me and my Hubby and I love the final result, simply unique!